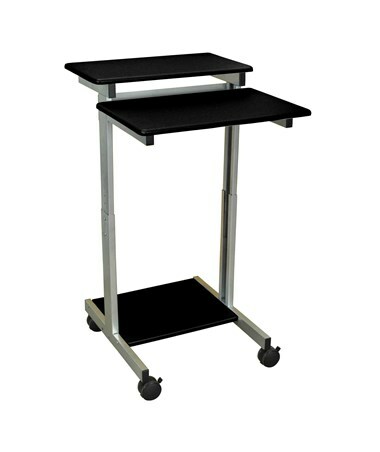 The Luxor 24" Standing Presentation Station is a mobile workstation with adjustable legs perfect for presentations, meetings, conferences, or as a walk-up station to enter data or fill out forms. It features three shelves with generous work surfaces that are able to support a desktop, laptop, or tablet. Its legs can be adjusted from 33.98 to 45.79 inches. Four 3-inch furniture grade casters allow the unit to move smoothly over any surface and two of these casters have brakes. With a two-tiered design, the top and bottom shelves of this standing desk can be moved together in one-inch increments, while the stationary bottom shelf is used for additional storage space. 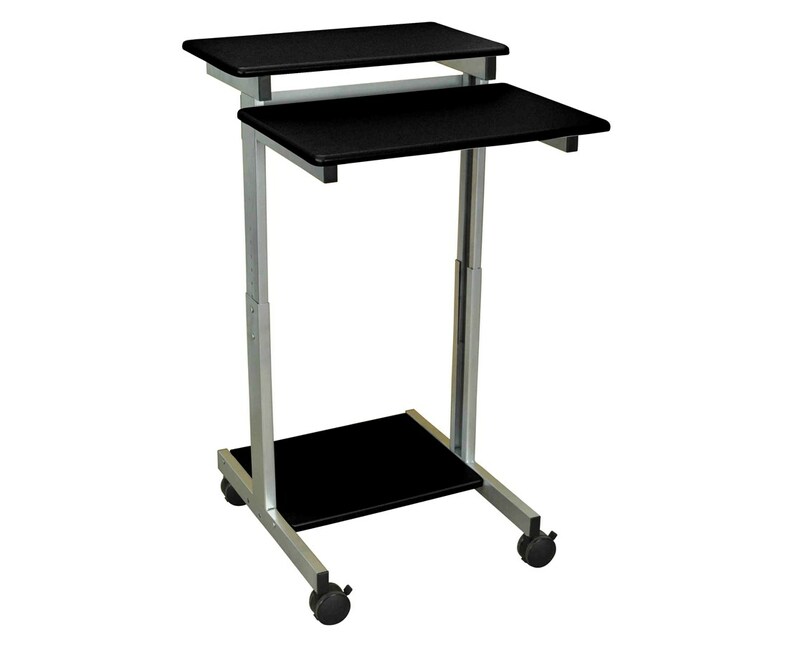 This standing workstation has a silver powder coated steel frame and a 24-inch wide laminate wood surface. It is easy to assemble with the tools and hardware needed for assembly included in the package. It also meets ANSI/BIFMA furniture sustainability standards. Work Surface Height 34.25" to 46.25"